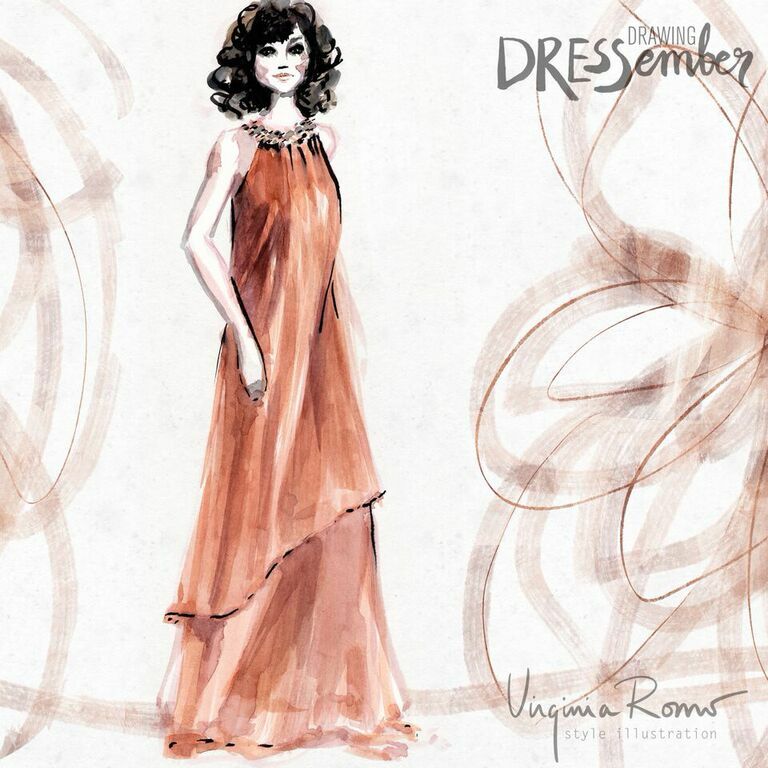 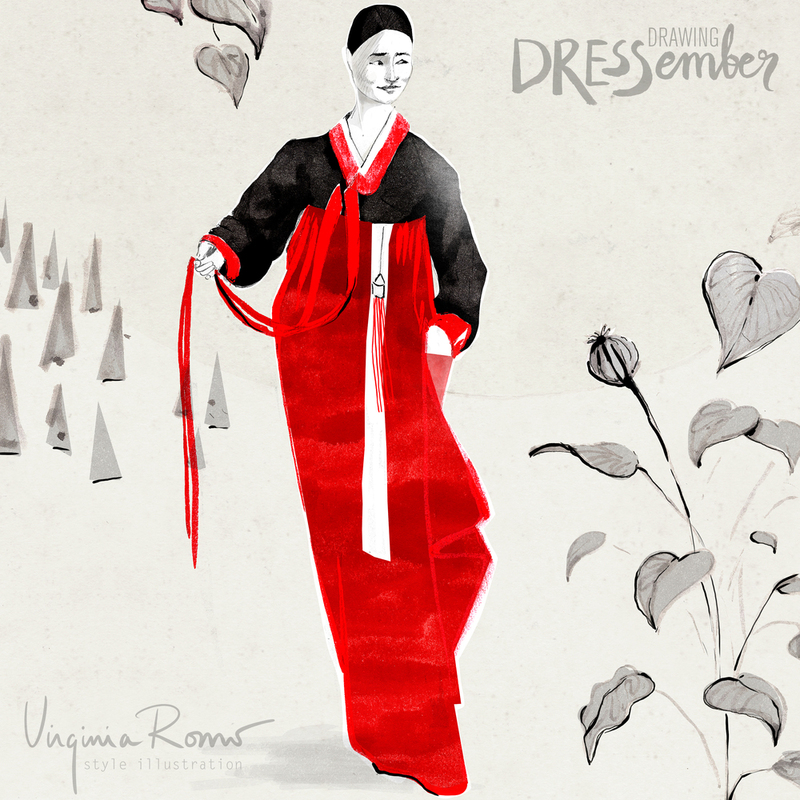 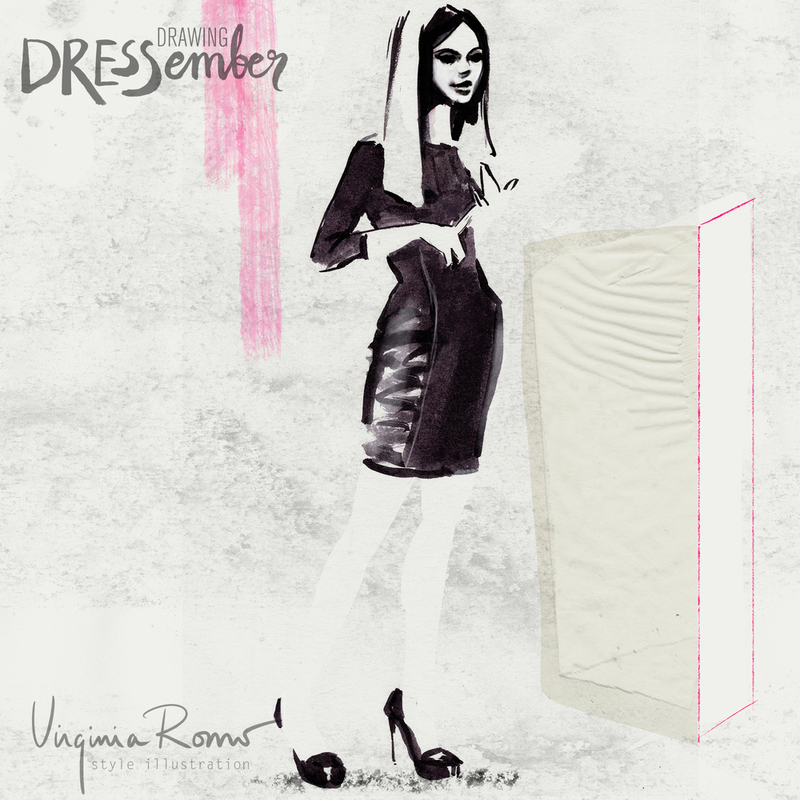 Enjoy the drawings and want to support Dressember.org in its fight against human trafficking? 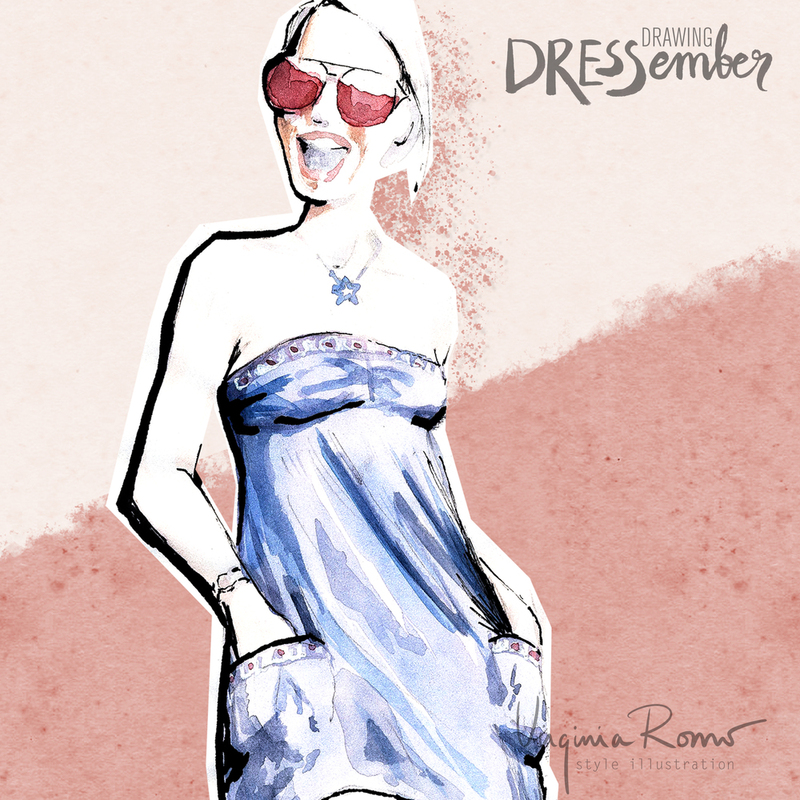 Dressember is here! 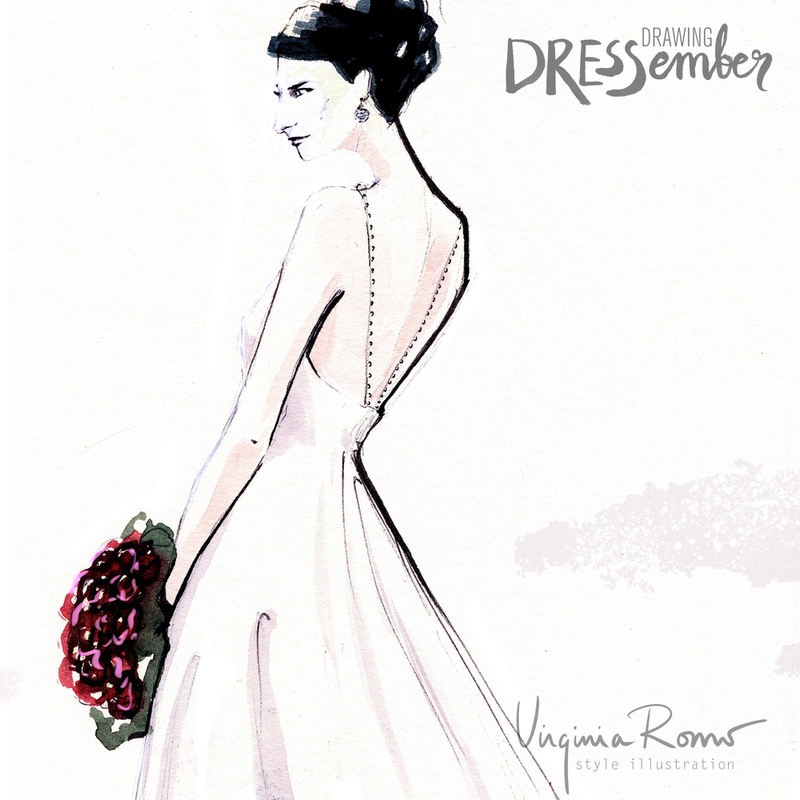 And this gallery will grow as the month goes by: daily the drawing of a dress. 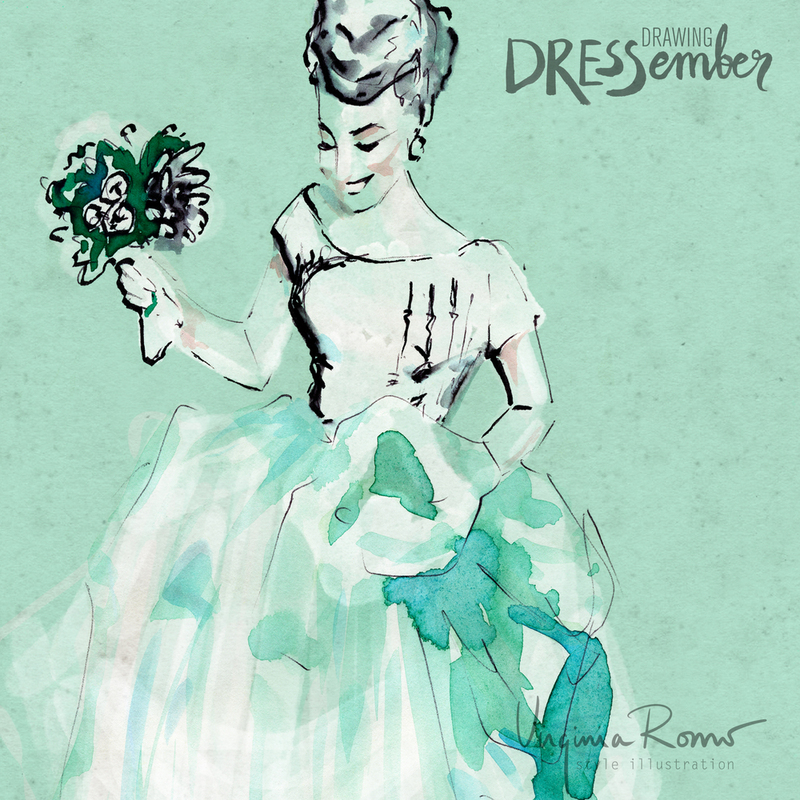 It is my way to participate in dressember. 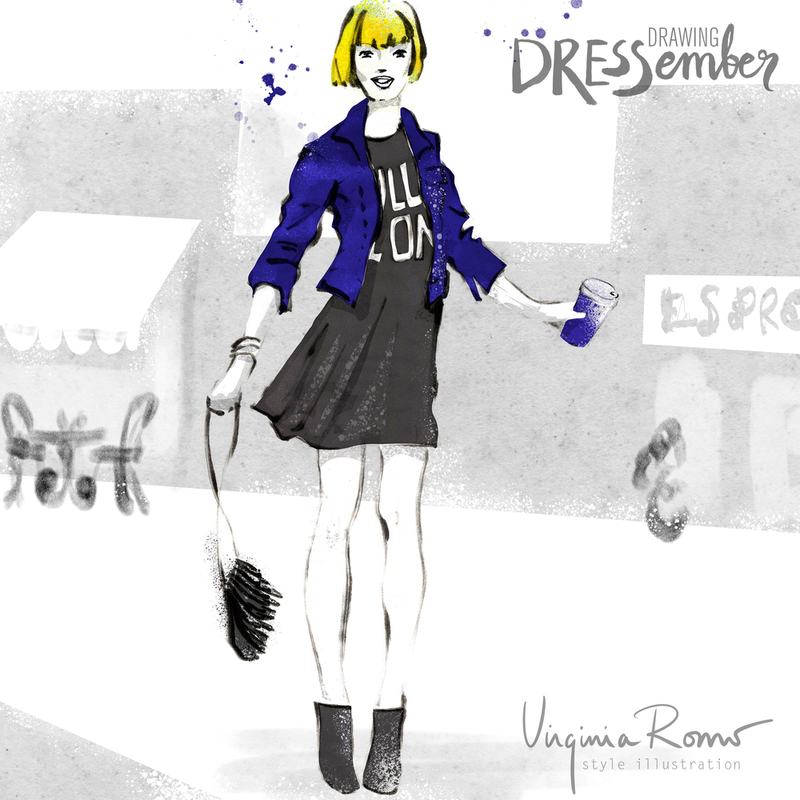 As I told you in my post below, I am drawing (and wearing) a dress every day of this December. 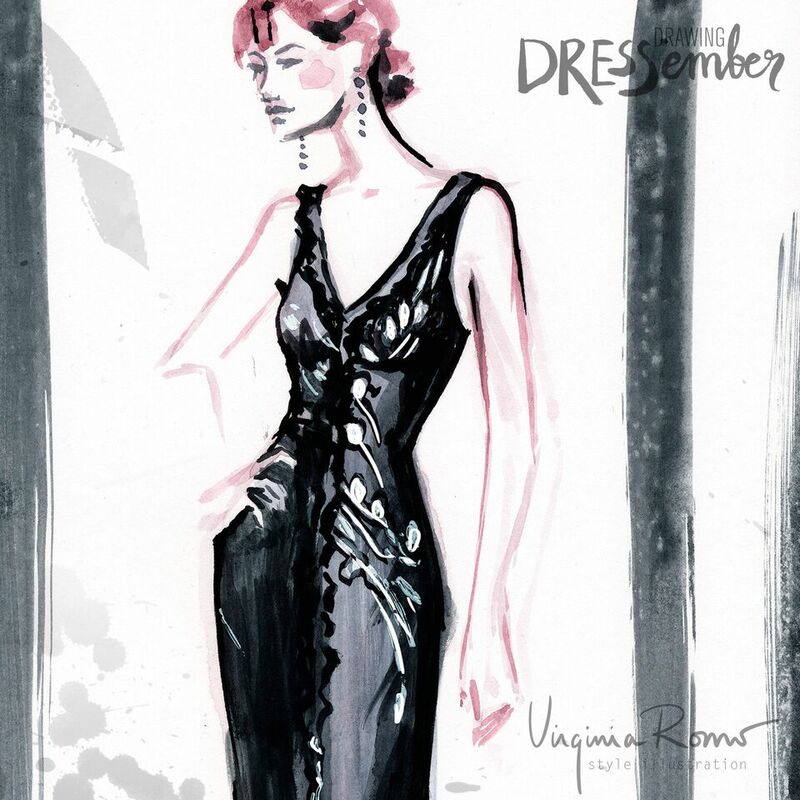 I have been collecting pictures of the women who liked to have their dresses drawn by me. 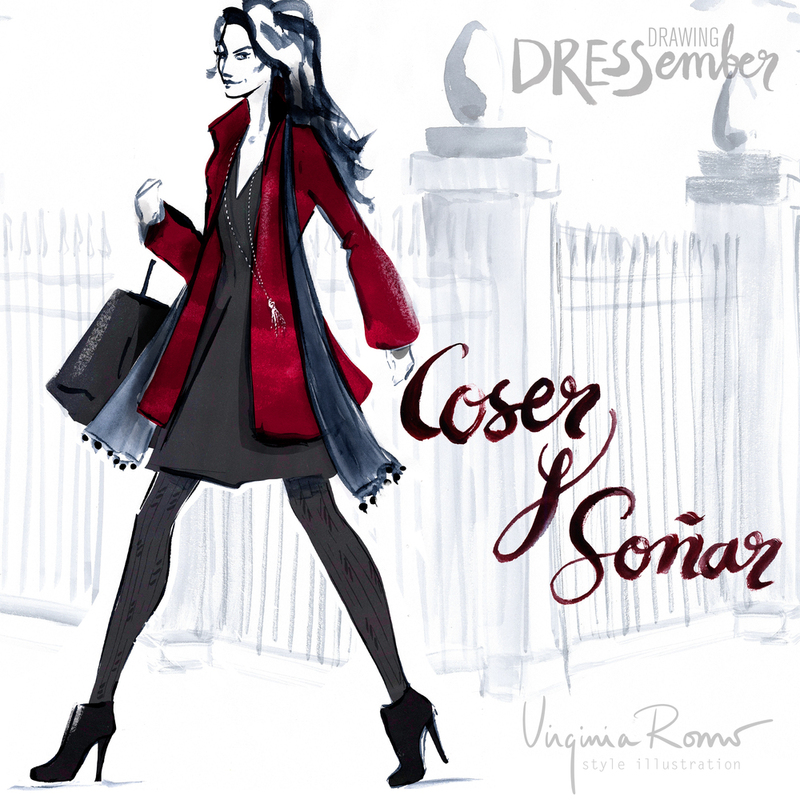 The reaction has been overwhelming and I am happy* to announce that I cannot accept more photos to be drawn, after I got more than 50 pictures sent and my page received more than 34 donations**. 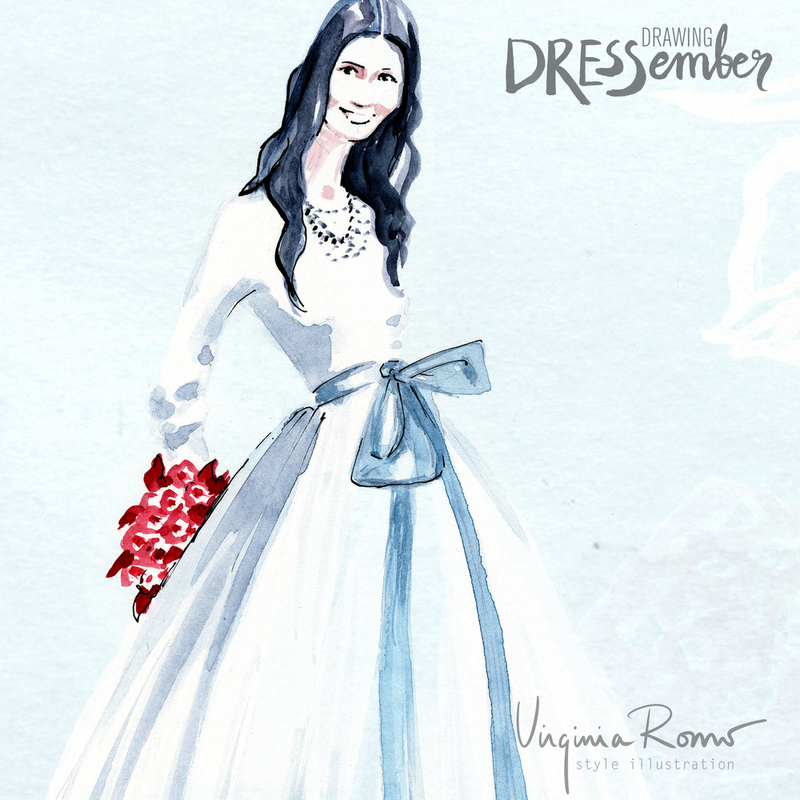 Nevertheless, if you enjoy my daily dresses and want to support the Dressember Foundation please consider to support my campaign. 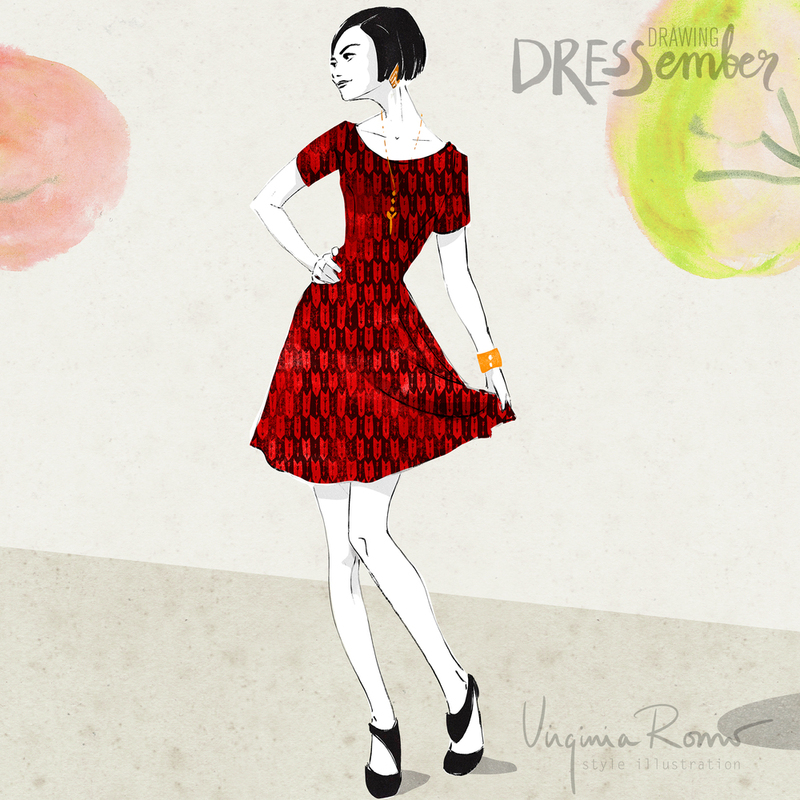 * Happy that the reaction was so generous, thank you ladies, but sad that I cannot draw more dresses.